Master Builders KwaZulu-Natal: Why Not Just Build a Road Through it? 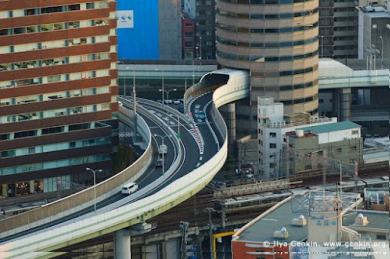 It's not easy building a new highway in Japan, since it's one of the most crowded places in the world. For instance, often you'll find that the place where you want to build your roadway happens to be obstructed by a skyscraper. There's no place else to put it and the owners of the building certainly don't feel like tearing it down.